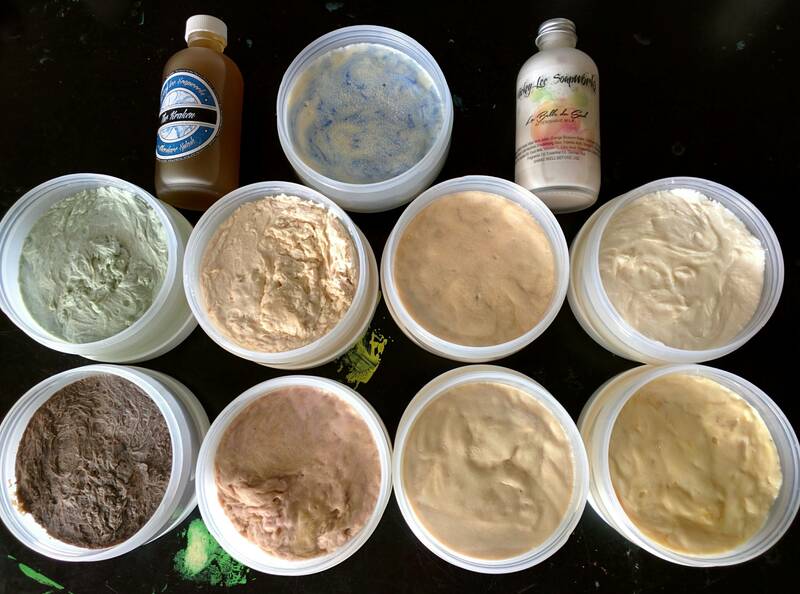 I have entirely too much soaps in my den and have made the decision to reduce it and free up some funds to get some last minute items for my soon to be born son. Preferred method of payment is Paypal. Fees and CONUS shipping is included in the price. 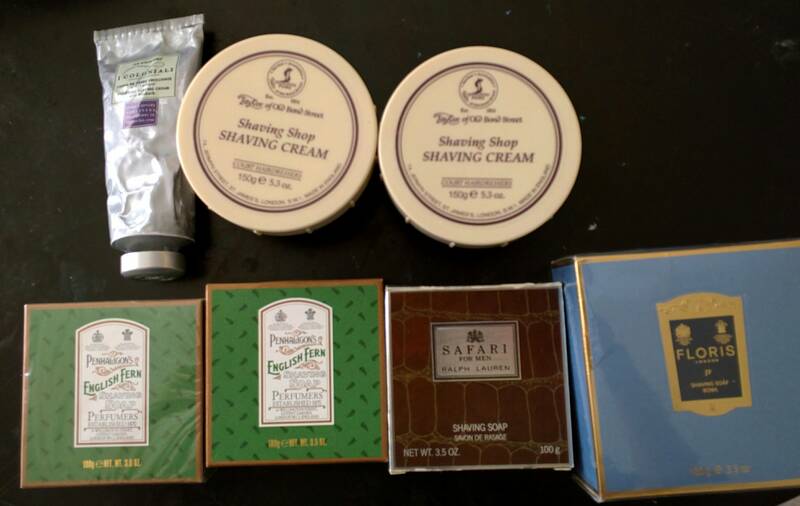 Penhaligons English Fern (non tallow) lot SPLIT - $55 $30 for the box still wrapped. Both are new never used. One box has cellophane still wrapped and the soap in the other is still sealed. Floris JF (non tallow) Soap & Bowl - $55 New and still sealed. Scent has been discontinued. RazoRock Plissoft Lot - $50 fantastic brushes for the price. As of right now I still prefer the Ubersoft II knot. Simpsons Jade CH2 Synthetic and Travel Tube - $130 SOLD Fantastic brush and I may end up regretting that I let it go. Vie-Long Faux Ivory Beehive $65 SOLD 25x50 extra stuffed Silvertip hair. Phenomenal brush, I just prefer synthetics now. Thater 4125/1 $65 SOLD 24x52 (base of the knot measures about 26mm) Brush has shed a few hairs hence the lower price. It would shed a hair or two when I would use it but has been sitting on my shelf since the end of last year. If you choose to split, I would be interested in MLS The Kraken. 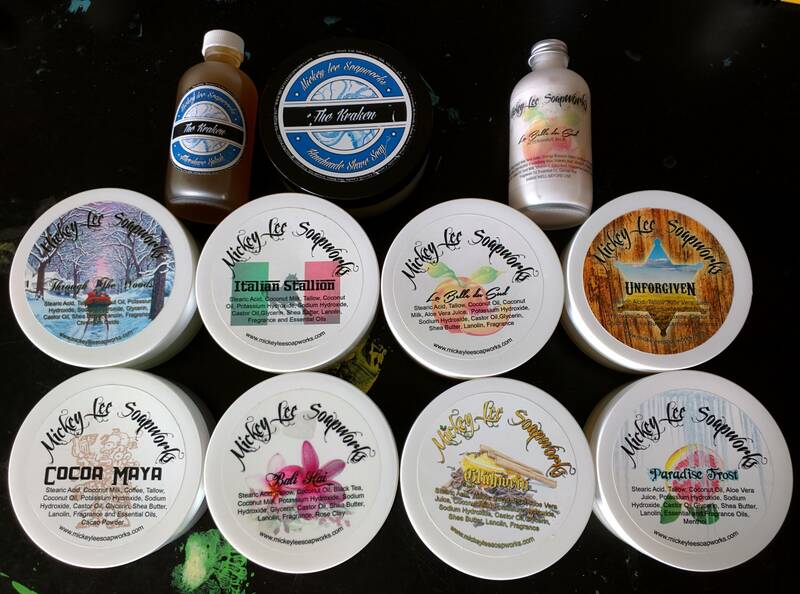 I will take the Soap Commander lot. PM sent. I'd be interested in the MLS Through the Woods if lot splits. Congrats on the soon arrival of your son also! ? (05-12-2016, 05:45 PM)jshaves2554 Wrote: Congrats on the soon arrival of your son also! ? I overlooked that part. Congrats to you! Congratulations on your son and GLWTS! Some nice offerings there. Interested in the Kraken Set, Bali Hai and Paradise Frost if split. (05-12-2016, 07:09 PM)wyze0ne Wrote: Congratulations on your son and GLWTS! Some nice offerings there. Thanks Gents. I'm excited and only 3 more weeks to go.